One of the things PC players have over us console gamers, is the ability to crank up the performance of their machines. Consoles, by comparison, are pretty static in their performance. That being said, the PS4 has more options than any console before it. Join us for 10 awesome ways you can boost the performance of your console and your games. The most obvious way to upgrade your performance is to get yourself a PS4 Pro. This upgraded console will give you the most options and twice the power of a standard PS4. If you prefer not to upgrade the console, you’ll still find some useful tips in our list. 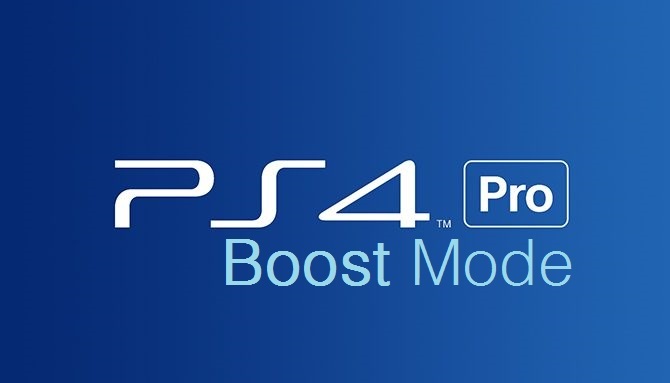 The PS4 Pro has an option hidden away in the system settings called “Boost Mode.” This was added as part of firmware update 4.50. It promises improved frame rates for games that aren’t supported by PS4 Pro typically. The crazy part? It actually works. Games like Just Cause 3, Bloodborne, The Evil Within, and Witcher 3: The Wild Hunt, all have noticeable differences in boost mode making them run even better and more reliably on PS4 Pro. It’s as simple as checking the box in the system settings. Just remember this is for Pro owners only. 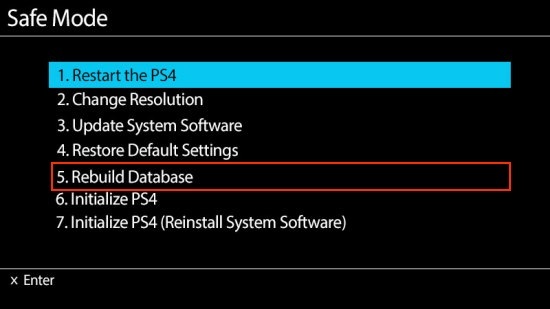 In the same way that defragging your PC hard drive can clear up some hardware issues, the PS4’s Rebuild Database option can improve your console’s space management and speed up your console. It’s worth mentioning that rebuilding your database does not delete any data. If you choose to Initialize your PS4, that will wipe it clean. Initializing and rebuilding your database are very different things. The standard PS4 hard drive works just fine, but if you want a slight edge in your loading times and performance, a solid state drive or SSD could do the trick. This is especially true if you’re someone who can’t stand long load times. The folks at Digital Foundry did a breakdown and found that a hybrid or full SSD drive make some significant improvements on loading times for several games. Bloodborne, for example, had its load times cut almost in half with a full SSD drive. Other games they tested, like Fallout 4 and Just Cause 3, also fared well with this new type of drive. If you’re thinking about upgrading yourself, be sure to check out our hard drives page for the top picks. High Dynamic Range, or HDR, is a feature on both PS4 and PS4 Pro. It provides additional color depth and detail to games. Your TV will need to support the feature, but if it does, you’re in for a treat. The additional color spectrum offers a much richer visual experience. If you’re thinking about upgrading your TV, look for options that support HDR10 as it is the latest iteration of the technology. If you play online, or you purchase a lot of digital games, then your internet connection is key. You need a strong and consistent bandwidth for the best results. While Wifi is convenient, it’s not as reliable as a hardwired connection. To boost this aspect of your PS4’s performance and maintain consistent performance, use an ethernet cable to connect the PS4 system to your router or modem. You should dive into your system settings to ensure everything is running properly. For the video settings, be sure to check that the resolution is set to the correct option. This is especially true for 4K gamers. Set the TV size to the correct amount for your television as well. If you have HDR support, make sure this setting is on as well. It’s recommended that you leave the other settings on their defaults or automatic unless you notice an issue with the picture. When it comes to your audio settings, make sure you set the audio output to HDMI or whichever device your audio is connected to and specify the type of audio output your device supports. Little tweaks like this will ensure that your system is performing at optimum levels. I remember one time I walked into the room while my roommate was playing Bioshock and the game looked awful. I knew it was a good looking game, so what was the problem? As it turns out, he didn’t know he could adjust the brightness in the settings to get the game’s visuals at the right level. I showed him how to do it, and the game looked instantly better. Despite some grief from friends and family, I’ve always been someone who champions proper settings in games. This is especially true if you’re a PS4 Pro owner. Whether it’s the brightness, frame rate caps, field of view, or specific Pro settings, these things can enhance the experience. So, next time you boot up a new game, check the settings to see if you can make the game look or play even better. Game patches are set to download automatically if you’re connected to the internet, but if you disconnect from time-to-time you should make sure you have the latest version of your games. I’ve also noticed that old games I have installed sometimes need a manual check to download the latest patch. To check for the latest patch, hit the options button over the game icon and select “check for patch.” These days, new updates can fix a broken game or significantly improve one, so always download the latest version. The PS4 can run multiple apps, which is nice, but it can slow down your system interface. When you’re done with an app, hold the PS button to open the menu and select “close application.” This will let you choose which one to close. It’s always better not to force the system to multitask if performance is your biggest concern. Place your camera in a place above or below your TV where it is stable and able to to see you, even if you’re standing or moving around. Avoid direct sunlight or any additional lights in the room. Turn off lamps or computers as well that generate light. Watch out for mirrors that can catch or reflect light. These are some great ways to boost your PS4’s performance. Do you have any other ways to get your performance out of the PS4? Let us know in the comments!